The Anglican Bishop on the Niger, Rev. (Dr.) Owen Nwokolo, has warned Nigerian public office holders to stop exploiting the people. Speaking in an interview with newsmen on yesterday in Onitsha, the Anambra State commercial nerve centre, the Bishop wondered why an individual or a small group of people could hold the people to a ransom by having the heart to embezzle public funds in billions of Naira, entrusted into their care. 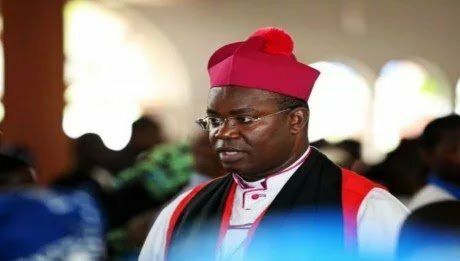 Bishop Nwokolo attributed the current high rate of poverty, deprivation, hunger and the near starvation in the country to what he described as “very high degree of corruption and callousness among politicians and public office holders”. “Today, they think they have succeeded in deceiving us, of course, yes they have, but soon, very soon, nemesis will catch up worth them. If they deceive us, they can’t deceive God”, he said. The Bishop warned public office holders in the country not to play with God, adding, “the God of the masses who you exploit will certainly fight for them”.